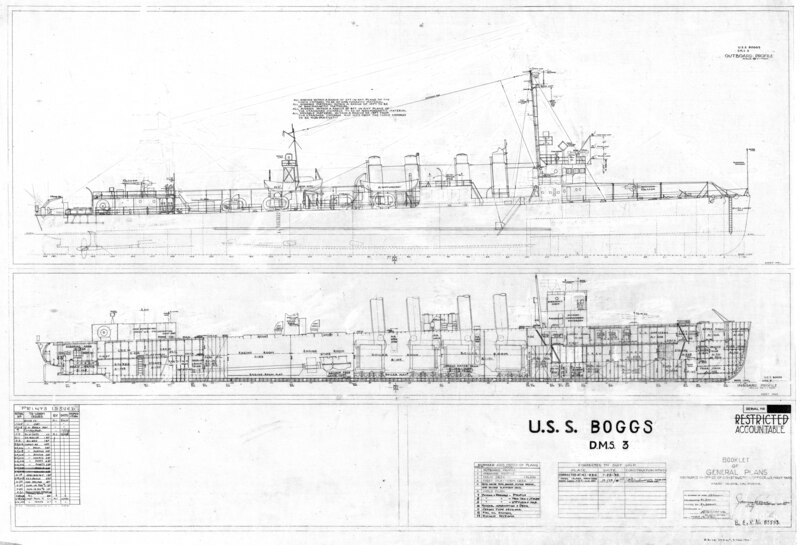 USS Boggs was originally commissioned as a flush-deck four pipe destroyer in 1918. 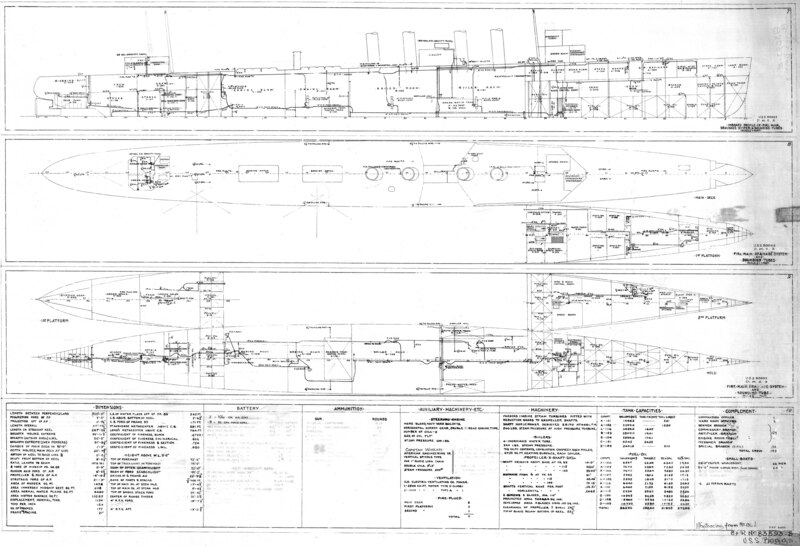 Shortly before the start of the Second World War, she was converted to a Destroyer Minesweeper, a configuration she kept until June of 1945 when her mine sweeping gear was removed and she was converted to a high-speed target towing vessel. 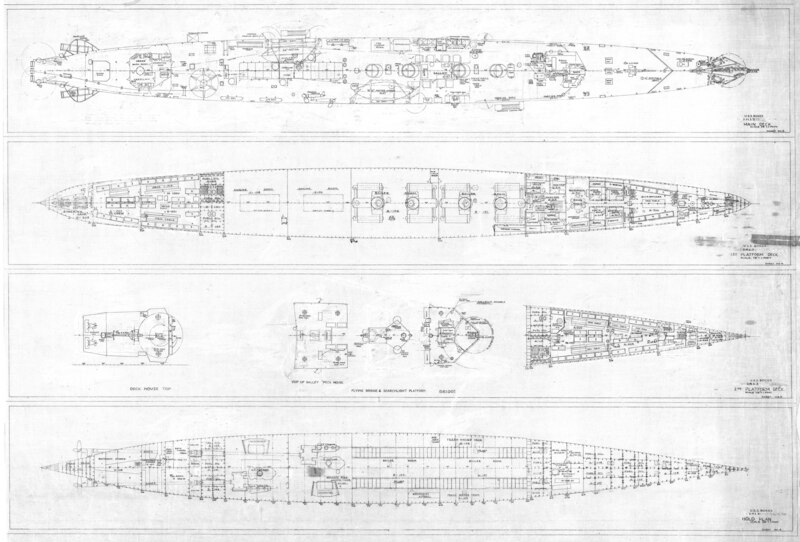 Main Deck, 1st & 2nd platforms with superstructure decks, and hold. 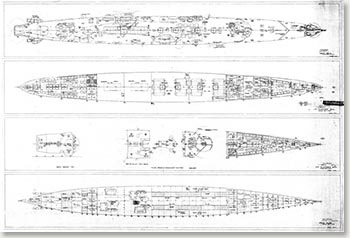 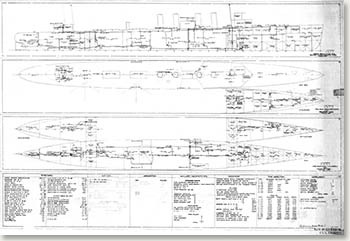 Fire mains and drainage system inboard profile and Main Deck, 1st and 2nd platforms, and hold. 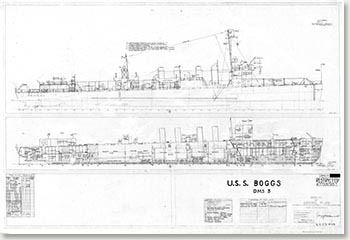 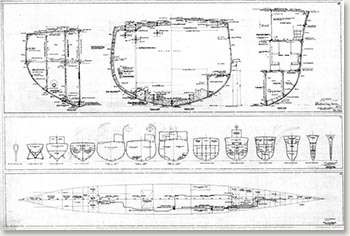 Sheet 10 contains general information for the ship as a DMS.